Interesting game as it matches up two teams that play contrasting styles. Western Kentucky utilizes an up-tempo attack led by quarterback Brandon Doughty that is averaging 44 points per game. South Florida, on the other hand, likes to use a ball control attack with their “heavy” offensive line to wear down opponents and control the line of scrimmage. South Florida comes this game winning 7 of their last 8 games of the year and defeated Temple and Cincinnati in back to back weeks. Western Kentucky is averaging 44 points offensively and is passing for 365 yards per game along with rushing for 154 yards per game this year. Doughty is a confident quarterback that has completed 71% of his passes for 4,594 yards with 45 touchdowns and 7 interceptions. The Hilltoppers won the C-USA title over Southern Mississippi 45-28 after trailing early on 21-7 at home. This is a veteran team that has play makers that can stretch the Bulls secondary vertically and can put pressure on the South Florida offense to respond. On the year, Western Kentucky is averaging 520 total yards of offense per game. Defensively, the Hilltoppers are allowing 25 points per game and giving up 234 passing yards per game along with 154 rushing yards per game. Western Kentucky has been very oportunistic this year and is +16 in turnover margin (+7 on the road) entering this game. Over the last five games, the secondary has played very well allwoing 180 passing yards per game and forcing 7 interceptions during that span. The unit has 26 sacks on the year and has speed off of the edge to contain South Florida quarterback Quinton Flowers. South Florida is an offense that found their identity down the stretch this season. Head coach Willie Taggart wants to run the football and the cohessiveness of the offensive line allowed the Bulls to pound the football at the end of the season. The Bulls are averaging 33 points per game led by versatile quarterback Quinton Flowers who completed 60% of his passes for 2,017 yards with 21 touchdowns and 8 interceptions. Flowers is dangerous when he breaks contain and recorded 883 yards with 10 touchdowns on the ground. The Bulls have a solid running back in Marlon Mack that leads the team with 1,273 yards with 8 touchdowns. South Florida is passing for 184 yards per game and rushing for 243 yards per game. In the team’s last four games (all wins) against East Carolina, Temple, Cincinnati and UCF the Bulls averaged 302 rushing yards per game. The Bulls are giving up 220 passing yards per game and are solid in run support allowing 140 yards per game. The unit enters this game +8 in turnover margin (even on the road) and has recorded 32 sacks this season. Over the last four games, the defensive front seven has stepped up in run support and allowed 91 yards per game. I love this match-up because of the contrast in styles. I have been very impressed with South Florida this season and like the way the offensive line is playing entering this game. South Florida has the 11th ranked rushing offense in the nation (242 yards per game). This game will be played in Miami-which in turn should be a “home” game for the Bulls. When looking at Western Kentucky in the C-USA Championship, the team struggled with the versatility of Southern Miss quarterback Nick Mullens. I feel that Flowers is a better athlete and think he can make plays outside the pocket to put pressure on the perimeter of the Hilltoppers defense. Look for the Bulls to strike the mild upset over the Hilltoppers in a great game. If you like defense, this is the game for you. Two physical “blue collar” defenses take the field in Boise that matches up two similar types of teams. Akron head coach Terry Bowden has officially turned around the Zips and has taken Akron to its second bowl appearance in school history. 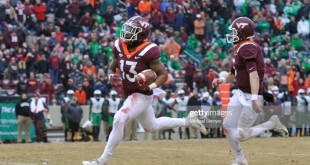 Bowden has the opportunity to win 8 games this year which would tie the school record along with winning a bowl game-which has never been done (last bowl in 2005-lost). Akron is averaging 24 points per game and wants to run the football between the tackles against Utah State. The Zips are averaging 170 rushing yards per game and are passing for 193 yards per game. Led by quarterback Tommy Woodson the offense has been more consistent down the stretch and has shown signs of big play ability. Woodson has completed 53% of his passes for 2,034 yards with 16 touchdowns and 10 interceptions this year. In the last two games of the year, Woodson has thrown 5 touchdowns and no interceptions. Running back Connor Hundley leads the team with 883 rushing yards and 10 scores on the ground this season. Defensively, the Zips are very solid allowing 21 points per game and have the 3rd best rushing defense in the nation allowing 89 yards per game. Akron is giving up 238 passing yards per game and must be able to force Utah State to methodically work down the field. Over the last five games of the regular season, Akron has allowed 67 rushing yards per game in contests against Central Michigan, UMASS, Miami (OH), Buffalo and Kent State. Akron has recorded 28 sacks on the year and is +8 in turnover margin (+4 on the road). Utah State is averaging 29 points per game and is passing for 202 yards per game. The Aggies are rushing for 167 yards per game this year and have a very physical offensive line that can wear down defenses late in games. Quarterback Kent Myers (14 TD’s, 3 INT’s) is questionable for this game which means former starter Chuckie Keeton will get the start for Utah State. Keeton is a dual threat signal caller that has battled injuries the last two seasons. In the season ending loss to BYU, Keeton completed 20 of 45 passes for 243 yards with one touchdown. On the year, Keeton has completed 51% of his passes for 892 yards with 3 touchdowns and 6 interceptions. The weeks off in preparation for this game should benefit the senior as he prepares to play his last game in an Aggies uniform. Defensively, Utah State is giving up 27 points per game and is allowing 156 rushing yards per game. The Aggies are very good in the secondary and are yielding 180 passing yards per game. Utah State has recorded 26 sacks as a unit this year and will need to get pressure on Woodson to force him into quick decisions in the passing game. The Aggies have not consistenly won the turnover battle this year and enter this game -1 in turnover margin (-6 on the road). In the last five games of the regular season, the defense allowed 266 rushing yards per game. Akron has played well on the road this year with a 4-2 overall road record while Utah State has a 2-4 road record entering this contest. Akron does have the better defensive front which will be very important in containing Chuckie Keeton in the pocket. I like the fact that Akron has been able to force turnovers on the road this year and feel that this game will be won by the Zips in the trenches. Look for coach Bowden to pull out all the stops to get the bowl victory over Utah State. I expect Akron to be aggressive early on and rely on the their defense to take over. Toledo head coach Matt Campbell took the head coaching position at Iowa State and will not coach the Rockets in this contest. Defensive coordinator Jon Heacock will lead the Rockets in this game against Temple. Toledo opened up their season with back to back wins against Arkansas (16-12) and Iowa State (30-23). Toledo enters this game averaging 35 points per game and is led by former Alabama backup quarterback Phillip Ely. On the year, Ely has completed 54% of his passes for 2,680 yards with 21 touchdowns and 10 interceptions. The Rockets are averaging 250 passing yards per game and are rushing for 213 yards on the ground. Running backs Kareem Hunt and Terry Swanson have combined for 1,764 yards and 17 touchdowns which give the Rockets the ability to pound the football at opposing defenses. The offensive line is one of the best in college football in pass protection and have allowed only 4 sacks through 11 games this season (382 passing attempts this year). Defensively, the Rockets are giving up 21 points per game and are very solid in stuffing the run allowing 118 yards per game. Toledo has allowed 260 passing yards per game this season and must be able to get pressure on Temple quarterback P.J Walker. On the year, the Rockets have recorded 25 sacks as a unit and have won the turnover battle consistently this season (+7 in turnover margin overall +3 on the road). Over the last five games of the regular season, the Rockets have allowed 282 passing yards per game along with giving up 13 passing touchdowns. The first six games of the year, the team allowed only 2 passing touchdowns to their opponents. Temple is coming off of a disappointing loss to the Houston Cougars in the AAC Championship game 24-13. Temple is averaging 30 points per game and likes to run the football which opens up the play action passing game. The Owls are passing for 215 yards per game and are rushing for 153 yards per game. Quarterback P.J Walker is an athletic quarterback that has a big arm to stretch Toledo’s secondary vertically. On the year, Walker has completed 56% of his passes for 2,736 yards with 19 touchdowns and 7 interceptions. Running back Jahad Thomas is the key to the offense and when the Owls can consistenly run the football, they are able to win ball games. Thomas leads the team with 1,257 rushing yards and 17 touchdowns this year. In four of the team’s last five games, the offense has been able to throw over the top of opposing defenses ( four games over 250 yards of passing offense) and can challenge the Toledo defense in this game. The Owls rely on their stingy defense to keep them in games. On the year, the Owls are allowing 19 points per game and are giving up 126 rushing yards per game to their opponents. Temple is giving up 202 passing yards per game and has been able to generate a consistent pass rush recording 32 sacks on the year. Temple enters this game +4 in turnover margin (+5 on the road). Temple has recorded 9 sacks in the last four games of the season. The Owls have struggled defensively this season with dual threat quarterbacks (DeShon Kizer and Greg Ward Jr.), however, Phillip Ely is a pure pocket passer. In watching Temple quarterback P.J Walker over the last four games of the season, I beleive he is confident and has progressed in his reads in the Owls passing system. Walker’s play in the passing game will allow Temple to attack the weakness of the Rockets defense (secondary). Look for Temple to be aggressive early on and challenge the Toledo defense in the passing game. I believe that Temple head coach Matt Ruhle will have his team prepared and think that the Owls have the better defense entering this contest. 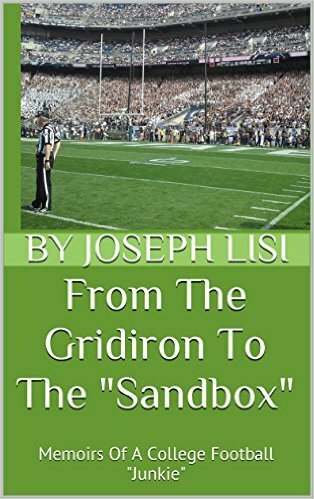 Joseph Lisi a former ABC Sports college football researcher, is the owner of www.GOFORTHE2.COM. He is a member if the FWAA (Football Writers Association Of America),Maxwell Football Club and is currently the content editor at www.2FiveSports.com.He contributes regularly to www.Sid-Rosenberg.com and has been a featured guest every Tuesday night from 10:30-11:30pm EST on Yahoo Sports Radio With Ken Thomson(www.sportsxradio.com). 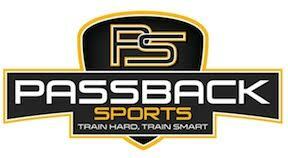 Joe has been featured on the FNTSY Sports Network and The Sid Rosenberg Sports Radio Show 640AM Sports (South Florida). You can follow him on Twitter: @Goforthe2. 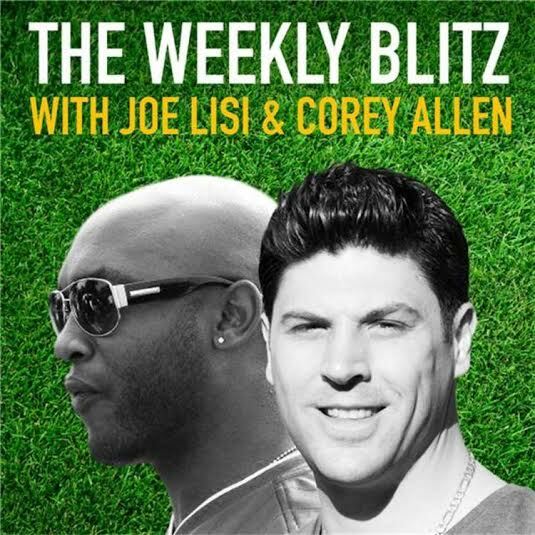 Joe has a weekly radio show on www.blogtalkradio.com with former Georgia Bulldogs WR Corey Allen called: THE NCAA WEEKLY BLITZ.